The effective management of costs and efficiencies is a vital element for ensuring high-functioning healthcare systems. Nowhere is this trend being more closely watched than in the U.S. and U.K. In the U.K., the news is similar. According to a new analysis curated by two leading thinktanks and published on the British Medical Journal’s website, Britain coughed up a larger percentage of its GDP on healthcare than the European and OECD averages. These troubling developments have led to the genesis of Robomed Network, a Russian startup that aims to utilize blockchain technology to develop a consumer-centric medical network to overcome the rigor mortis plaguing today’s global healthcare industry. The company was founded by Philipp Mironovich and Ivan Devyatkov, two veterans of the healthcare sector. The company is bolstered by a team of highly respected advisors possessing decades of experience in the space. At present, Robomed is in the throes of deploying smart contracts in an effort to reshape the medical industry through a decentralized medical model. In light of rising costs, inefficiencies and red tape currently plaguing these medical system, Robomed is placing its bets on the revolutionary advancements of blockchain technology to streamline and repurpose current models of healthcare worldwide. All of this comes on the heels of blockchain experimentation in shipping, food, manufacturing and other industries seeking to boost process efficiencies and reduce costs. Robomed hopes to create similar value-based solutions for healthcare by employing a smart contract approach. The structural undergirding of the Robomed Network consists of a medical ecosystem driven by a blockchain token with the purpose of delivering the most effective patient care possible. This ecosystem functions with the intent of bridging the gap between medical providers and patients through smart contracts. The end game is to repurpose the prevailing medical service-oriented model into one that’s more patient-centric. The white paper executive summary which appears on the Robomed website notes that, prior to tokenization, Robomed had three software products developed, 20 clinics connected, 1.7 million clients in their database and 2,900 clinical guidelines digitized. In an effort to accelerate the company’s development trajectory, Robomed launched an initial coin offering (ICO) began on November 19, 2017 and lasting till December 19, 2017. This ICO is open to the global public and includes the sale of RBM tokens, the presale has already exceeded $2 million soft cap. The RBM token is an Ethereum-based token that empowers users to vote and unlock the value of medical services within the Robomed Network. The token can be accepted as payment for medical services rendered by participating medical providers. 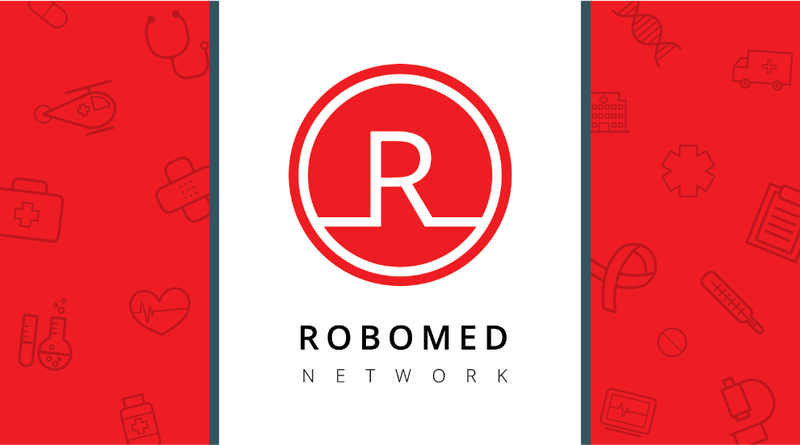 Member clinics of the Robomed Network are required to honor the RBM token as payment for medical services provided during a patient appointment. With technological advancements occurring at such a rapid pace, it’s easy to get caught up in the hype around making healthcare more affordable. This is particularly true with the numerous benefits being discussed with respect to blockchain technology. While the Ethereum-centric blockchain and the smart contracts it supports continue to confront a bevy of unanswered questions and uncertainty amid promising possibilities, Robomed is banking on its development of solutions that will fundamentally shift critical cost and efficiency elements of the global healthcare landscape.